Did you know that there are over 250 French and International mortgages available for French properties ? Interest only, capital repayment, fixed rate, capped interest rates, tracker, equity release and post finance mortgages available. Durations of up to 30 years, and 20 year Fixed term interest rates from as low as 3.55% or 20 year tracker rates from 2.75%. Better rates available for shorter durations. 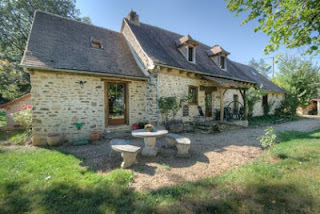 Wherever you're looking to buy in France we can help. 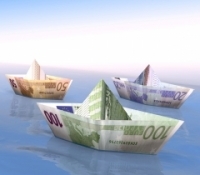 We arrange via our broker French mortgages for customers from all over the world, including the UK, Ireland, US, Canada, Australia, Russia, Japan, Dubai, South Africa... we also help those already living in France. We provide a professional and cost effective service, listening to your needs & help you define your criteria as to what you need your mortgage to do. We then source the most appropriate mortgage from our extensive network of Private, National and Local banks. From April 2013 a lot of mortgage brokers dealing with non-resident mortgages are likely to disappear as new regulations come into force and will mean that banks cannot remunerate them unless they are ORIAS registered (and thus suitably qualified). Our broker already has this registration in place. Contact us today to discover the best rates available. This 5 bed house + 2 bed gîte sit in the ‘Golden Triangle’ Between Sarlat, Les Eyzies and Le Bugue within the edge of the beautiful old village of Meyrals. The main house is south facing and has 5 bedrooms all of a good size. There are two lounges, one which measures 62m² with a fireplace. The other lounge has a wood burning stove. There is also a large study, a large fitted kitchen / dining room, utility room and WC. The layout of the house which has two staircases would make it very easy to split part of the house off into a self contained gite if needed. The master bedroom has a large en suite with hydro massage power shower and large dressing room. There are two large bathrooms, one with a bath with shower above and the other with a shower. 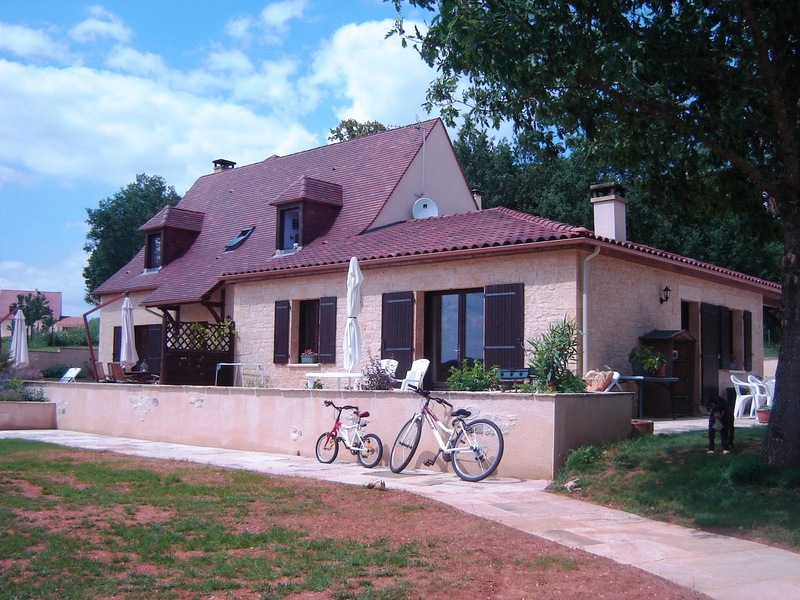 The attached Gite/ Maison des Amis has two further bedrooms, a fitted kitchen/dining room, lounge with log burning stove and bathroom with a large corner bath. It also has a private terrace overlooking the pool. A stunning luxury stone house, in an elevated position with stunning views across a panorama of beautiful countryside. eral of “Les Plus Beaux Villages de France”. The quality of the renovation for this property has to be seen to appreciate fully, as does the stunning location. The sunsets that you see from this house are also something to behold. Very good DPE (energy report). Our team has recently been enhanced by the addition of Richard Morford and John Starr, who will be active in the Dordogne area. After years of dreaming, Richard Morford along with his wife Nikki and their two dogs, finally made the move to start a new life in France and relocated to live near Piegut-Pluviers in the north of the Dordogne, close to the borders with the Charente and the Haute Vienne. Having run his own business in the UK providing photography and marketing services to estate agents, it was a natural step for Richard to become registered as an 'agent commercial' in France and he now works with the Allez-Francais team covering the beautiful Perigord Vert. Centred around the town of Nontron, it is a region of unspoiled scenery split by fast moving streams, rolling hills and great rocky plateaus. 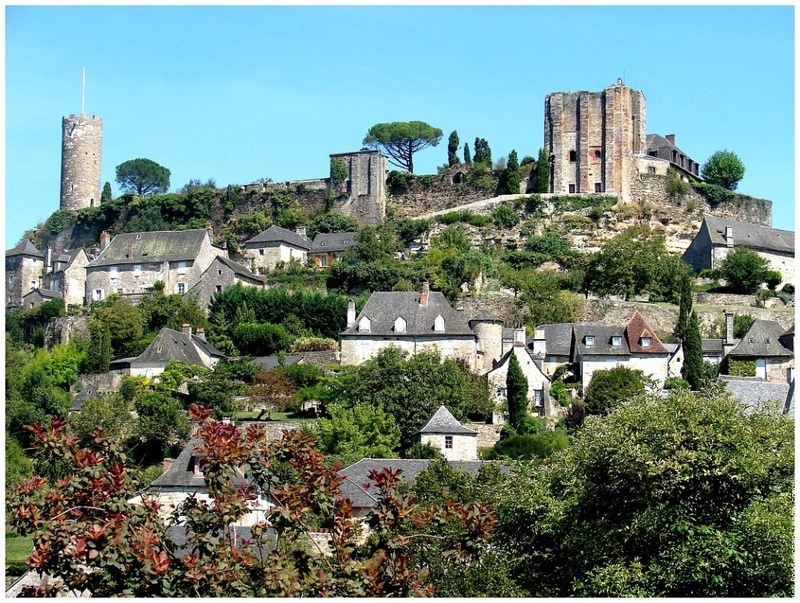 Whilst many property buyers come to this region to enjoy the peace and tranquility, it also includes a number of bustling market towns such as Riberac, Brantome, Thiviers, Montemboeuf, La Rochefoucauld, Villebois-Lavalette and Rochechouart. 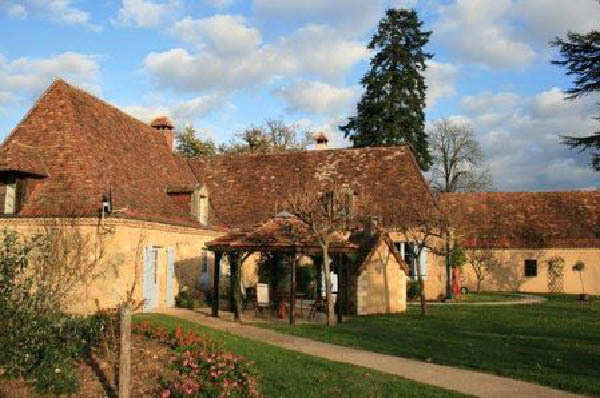 John Starr and his partner Harriet bought their first house in the Excideuil, Dordogne in 2002. He loves the countryside, markets, towns and villages and finds the French people in the Perigord Vert both receptive and welcoming. They moved here permanently in 2006 and have bought and sold other properties in this area for their gite business. John will be covering the popular market towns such as Excideuil, Jumilhac, St Yrieix, Pompadour, Objat, Hautefort. This opens up parts of the Perigord Vert, Perigord Poupre, Western Corrèze and a little of the Haute Vienne. Together with his personal experience and knowledge of buying and selling property here in France, John is really looking forward to helping others find their ideal home in this sort after area of rural France through Allez-Français. 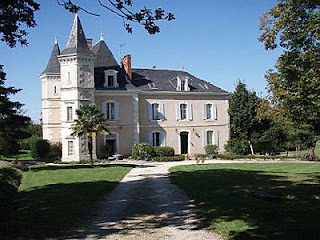 The Chateau is steeped in history and has it’s origins dating back as far as the C12th. It has been lovingly restored over the last 20 years and the owners have carefully preserved many architectural features, including exposed stone walls, magnificent fireplaces and oak beamed ceilings. 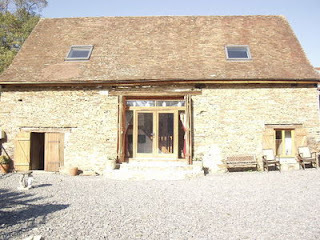 A magnificent barn has been converted into three guest apartments, making very successful letting units. An infinity swimming pool overlooks the parkland and woods. You will immediately be impressed as you enter via wrought iron gates and approach this exceptional estate via an avenue of 200 year old plane trees, planted by one of Napoleon’s generals, before entering the walled courtyard. 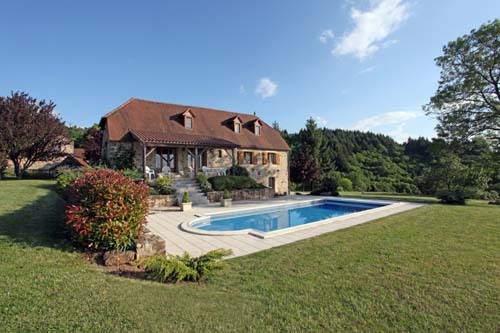 Outside, a 12 x 6 infinity pool is situated to the west of the chateau and enjoys views over beautiful, unspoilt countryside. The whole estate covers over 4 ha of attractive parkland. The gardens have been meticulously maintained and include lawns, many mature specimen trees with shaded and open areas. (The hazelnut trees are even used to produce nut oil). 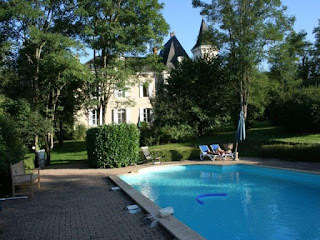 It is rare to fins such a wonderful estate located close to the River Dordogne. The vendors have proudly transformed this beautiful property from a virtual ruin into something magnificent that is rare to find currently. A really beautifully renovated Perogordine house in exceptional grounds. Outside a heated salt water 10 x 5 m swimming pool (with retractable rigid cover), sits in the ground of 11,900m² with a pool house, from where you have good views back towards the house, the bread oven and an octagonal pergola beside the terrace where there is also a BBQ. 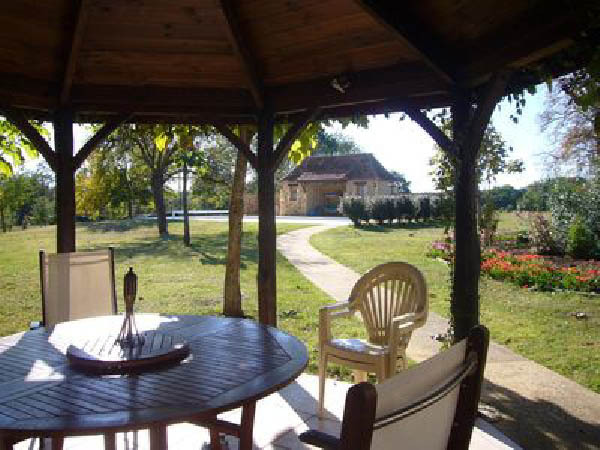 The property is in a quiet but not isolated location about 12 km from Les Eyzies, with rapid road access to Périgueux. It is within an hour of Bergerac airport. 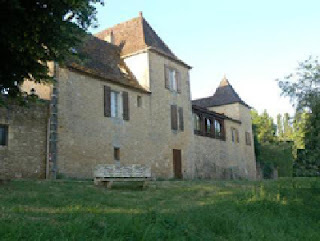 Beside the River Dordogne and with exceptional views of the river, an attractive XIXth century Chartreuse Perigord style house that has been entirely restored. Close to a small town with shops and schools, this property tastefully combines authenticity and modern comfort. Kitchen, large living room 33.5m² with view over the river, five bedrooms. Many architectural features including old stone sink, inglenook fireplaces, and with attractive tiled terrace. Offering approx. 200 m² habitable space. Land of 1240 m² planted with fruit trees. A fine stone Perigordine house from the 1980’s, offering 250 m² usable space. The property is in need of internal decoration, but the strucure is sound. 1st floor bedroom, convertible loftspace and access to the tower. In the basement area is a study 13m², a wine cave, and a garage. With approximately 4000 m² of land, (including a source), you will enjoy the countryside setting with all amenities nearby (under 5 Km). This renovated character property is set in 1,600m² of gardens and comes with stone outbuildings and a terraced swimming pool. The property comprises a kitchen 6m², a lounge-dining room 34m², a bathroom, a wc, and a boiler room on the ground floor. Upstairs there are 3 compact bedrooms (6, 8 and 9m²) and a sitting room which has access to the pool (36m². 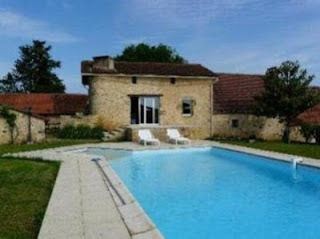 In the heart of the Perigord, half way between Perigueux and Bergerac, on 6 hectares of land, in an exceptional setting offering peace and quiet, deep in the countryside yet not isolated, and enjoying lovely views over valleys of woods and meadows, sits this elegant chateau with pool, tennis court, outbuildings and its hamlet of 3 guest cottages. The Chateau dating from the 18th and 19th centuries, is flanked by 2 hexagonal towers, offers approx. 550 m² habitable space over its 16 main rooms, and a totally independent hamlet made up of 3 houses (holiday lets), stables and several outbuildings. This property is set in 16 ha of grounds with mature trees, meadows and woodland, in a preserved environment in the countryside, (not isolated). Large swimming pool 14 x 6. Stables with 3 stalls. Tennis court. Dovecote. This estate would be ideal for those who appreciate the peace of the countryside whilst close to all amenities, a train station and cities of interest. It is also offers an excellent opportunity to create a hospitality business. Price reduction to 190,800 € - Character house in a Plus Beaux Village de France. A restored three-storey stone medieval property situated in a hilltop village, overlooking forests and rolling fields north of the Dordogne valley. With 3 spacious bedrooms, and 2 bathrooms, it provides a perfect cosy atmosphere. 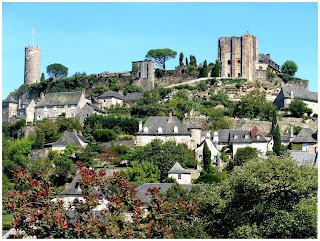 The dramatic hilltop village of Turenne is steeped in history - it is a perfectly preserved medieval village with its narrow streets, towers and turrets and a maze of ancient secret tunnels. It is one of several of “Les Plus Beaux Villages de France” in this sector. 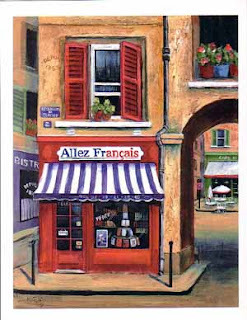 Allez-Français started in 2001, and initially sold houses in the Poitou Charentes area, where we lived for almost 10 years. (We still sell houses in that area, and have a husband & wife sales team active in the south of the Deux Sèvres). We moved south in September 2010, and now have a portfolio of around 100 houses in the Dordogne Valley area. 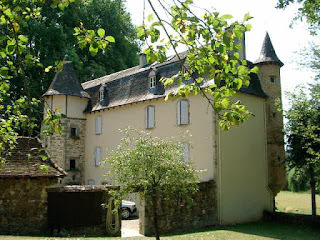 This includes the Dordogne (24), Corrèze (19) and Lot (46) departments. Our territory is roughly an hour in each direction from Brive airport. All of our French property prices include agency fees and the only extra is the Notaire's fees and Government taxes. We do not charge anything extra for so called 'hand-holding' unlike some agencies. We generally will know which properties are negotiable and which are not, so please give us a call to discuss your requirements. Do please bear in mind that the process of French property viewing in France is very different to the UK and is by appointment only, and we are often booked up for 7-10 days in advance. If you want to talk through your requirements the best time to phone is between 5 and 6 pm UK time when we are normally available. 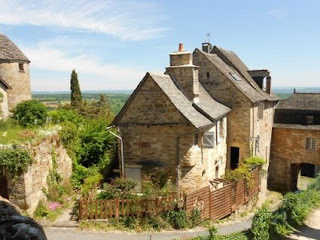 Thenon - Typical pair of Perigord houses - stunning views over the valley. Comprising of 2 restored houses, a main residence and a Maison d’Amis / Gîte with a covered heated swimming pool. 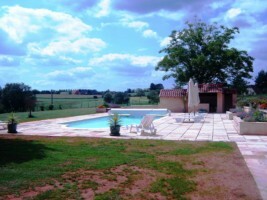 The property is set in an elevated position with wonderful views of the rolling country side around it. 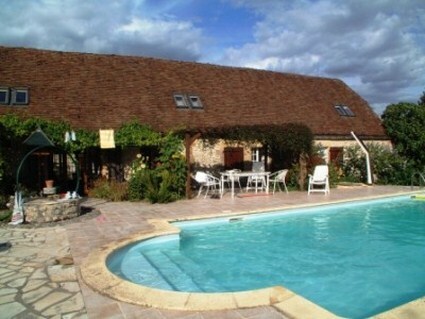 The swimming pool of 10 x 4.5m has a nice patio area and the pool is heated. 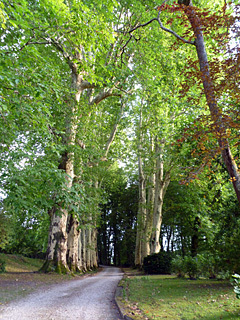 The mature garden of 8,871m² has a nice mix of trees and also has an ornamental pond. There is plenty of shade, but the dominant feature is the superb view. Thenon is a thriving small town nearby, with Montignac also close. 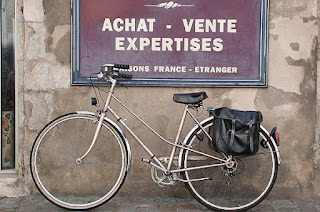 For major shopping, Perigueux or Brive offer excellent choices, whilst Sarlat is an easy drive. 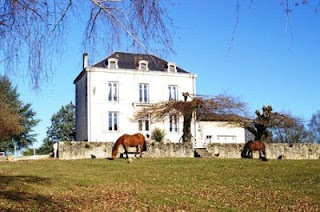 Jumilhac-le-Grand - Superb quality equestrian property. Geothermic heating. 15 hectares of land, including sources. Beautifully located in a small hamlet of just 3 houses, this old country house of 220m² SH has been meticulously restored by the artisan owner with an eye for detail and respecting the character of the property. Approached via a private track, you arrive at a large parking area, away from the house. Immediately, you take in the excellent views that the property benefits from. Each property within the hamlet is totally private, independent and in immaculate condition. The 15 hectares of land are a mixture of grazing, woodland and some small lakes, one of which is regularly used by the owner for bathing. This is a wonderful private estate that has preserved nature and offers lovely views as you tour the land. There are 2 rings for training & educating horses. 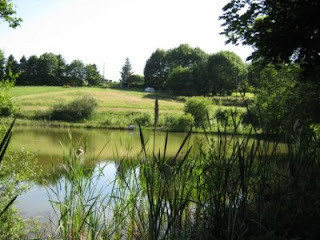 The property lies mid-way between Saint-Yrieix-la-Perche and Jumilhac-le-Grand. 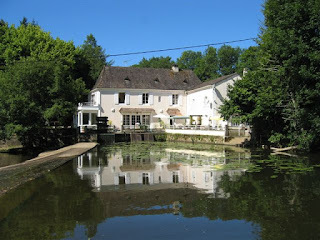 Nr Nontron - A lovely small Manor house located in the Perigord Vert set in 12 acres with a carp pond. Outside there is a large garage with a mezzanine and a full width cellar with a wine cave. The house benefits from full oil fired central heating and two wood burners for that cosy atmosphere when required. Pretty formal gardens including a summer house and spectacular open views over the village and surrounding countryside. 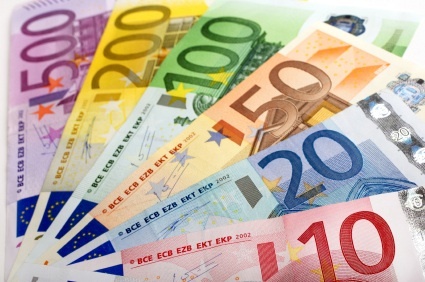 We always recommend our clients to a specialist currency dealer, and our dedicated dealers at Foremost Currency, Adam Bobroff and Robert Ingleby - +44 (0)1442 892060 – are able to lock you into today’s rates with a “forward contract”. I would suggest, if you haven’t already done so, that you consider talking to them about your specific requirements. We are updating our property pages every day, but the current level of the € is something that needs your attention if you are serious about buying a property in France during the near future. Quote - Allez-Français for preferential rates via our dealers. The accommodation comprises of a lounge, kitchen/breakfast room, 4 bedrooms (master with walk-in wardrobes), 2 bathrooms, 2 toilets, a very large conservatory (10 x 6.8m), and a boiler/store room. Outside there is a large garage and large workshop, attached potting shed & smokery. To the rear of the building a large covered in chicken/avairy run. Within the garden there is a garden shed, gazebo and ornamental fish ponds. 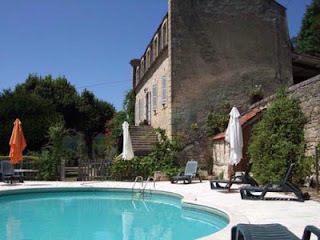 The principal buildings are 2 beautiful houses dating back to 1750 & 1913, offering 420m² of fully renovated living space (quality Perigord style renovations). Ready to be moved into with absolutely no further work required. On the estate, well away from the main house (50 metres), lies a very well maintained 50m² barn that can accommodate 4 people as a guests or as a rental property (holiday cottage with very good 10% yield per annum through 2 charming but luxurious 25m² studios, comprising of a bedroom, kitchen, shower room and each has a small private pool). The estate is spread across 18,000m², including 10,000m² of meadows and woods, 8,000 m² of gardens, lawns, hills, fenced-in pool (13 x 6 m with a pool house: changing area, shower and wc). The house has very lovely views of the park and gardens. A very well presented barn conversion in a rural location looking out over a wonderful river valley. High quality underfloor heating, and top quality fixtures speak volumes for the care that has been taken with this project. In summary a very well presented character barn conversion property within its own 3.5 acres of grounds. Reduced to a non negotiable price. This property offers many opportunities for someone looking for income potential. 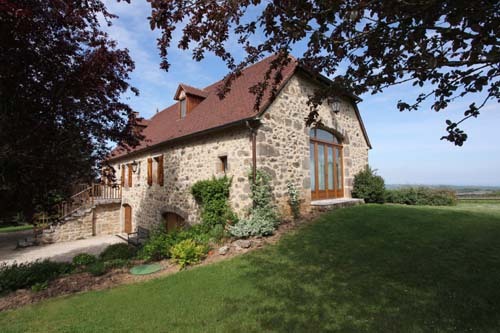 That could be B & B or camping in this rural getaway (barn conversion). There are lakes/ponds stocked with carp, bream and trout. Superbly situated, 19th century Chateau / Manor house for sale with adjoining tobacco barn, swimming pool, terraced gardens set in the valley of several chateaux with 3 “Plus Beaux Villages, Beynac-et Cazenac, Domme and La Roque-Gageac nearby. 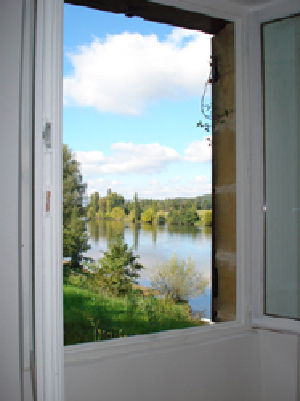 The property looks out across the Dordogne valley towards the Château of Castelnaud. 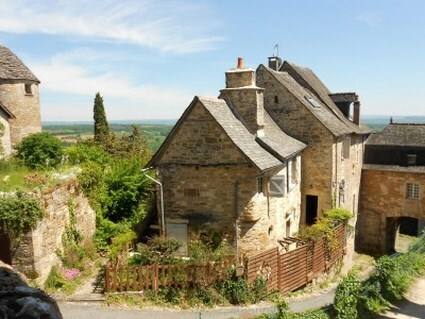 This south facing house was rebuilt in 1860 on medieval Cellars, by a returning war hero from Napoleon’s army. This house has a lot of history, notably in the 1950's when it was, for many years, a restaurant frequented by stars including Josephine Baker, Jean Gabin and Brigitte Bardot. Near Périgueux, Beautiful mill property with attached cottage - reduced price. A truly beautiful Perigourdine mill house set in 1.5 acres of garden on the banks of the River Isle with many original features. The mill is situated in a small hamlet 1 km from a village that has several shops, a bar, post office, 2 schools and a restaurant. 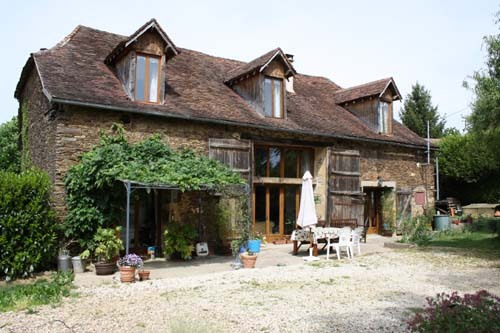 Negotiable on price, situated in a secluded, quiet hamlet position in the beautiful Perigord Vert, this lovely large barn conversion has 5 bedrooms, and is set in 3,700m² of enclosed, landscaped garden with mature trees and a secure covered swimming pool.